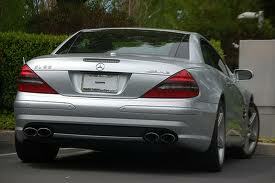 Driving around with no license in his car created a lot of internet myths surrounding Steve Jobs' Mercedes. Some said he simply paid all fines the police threw at him; other said he had a special license that enabled him to drive around with no license plates; but now... we finally found the truth. In California, a new car has 6 months to get a license... And Steve Jobs simply made a deal with the leasing company to get a brand new Mercedes SL 55 AMG every 6 months! Makes me wonder: how many ex-Steve Jobs Mercedes are there driving around as we speak?